New escalator and travellator installations are regulated by specific legislations that aim to ensure the protection of people and property against the risk of accidents during the functioning of the structures used to manage transit flows. Ministerial Decree 18th September 1975: technical safety regulations for the construction and running of escalators for public service. What does the UNI EN 115:2005 regulation include? The angle of inclination of escalators may not exceed 35°. Exceptions: in the case of gaps of more than 6 metres, or a nominal velocity of more than 0.5m/s, the maximum inclination may not exceed 30°. 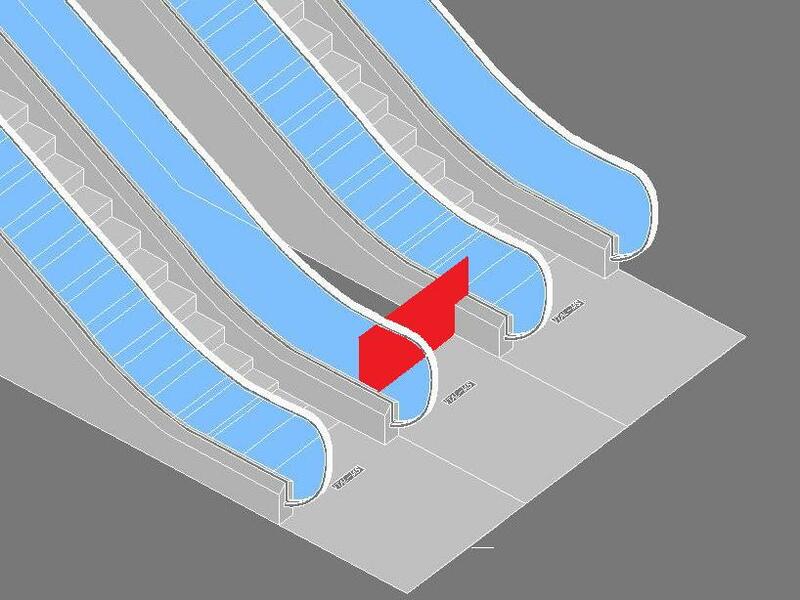 The angle of inclination of travelators may not exceed 12°. 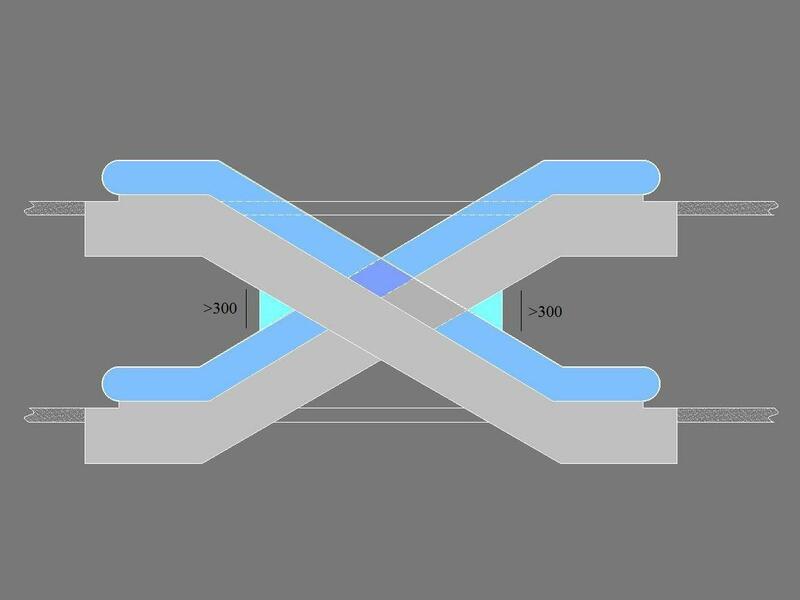 Exceptions: in the case of a segment with a length of more than 1,000mm, the maximum inclination allowed is 6°. The most common nominal velocity is 0.5m/s. The regulation indicates a maximum velocity of 0.75m/s. The most common nominal velocity is 0.5m/s. The regulation indicates a maximum velocity of 0.75m/s. 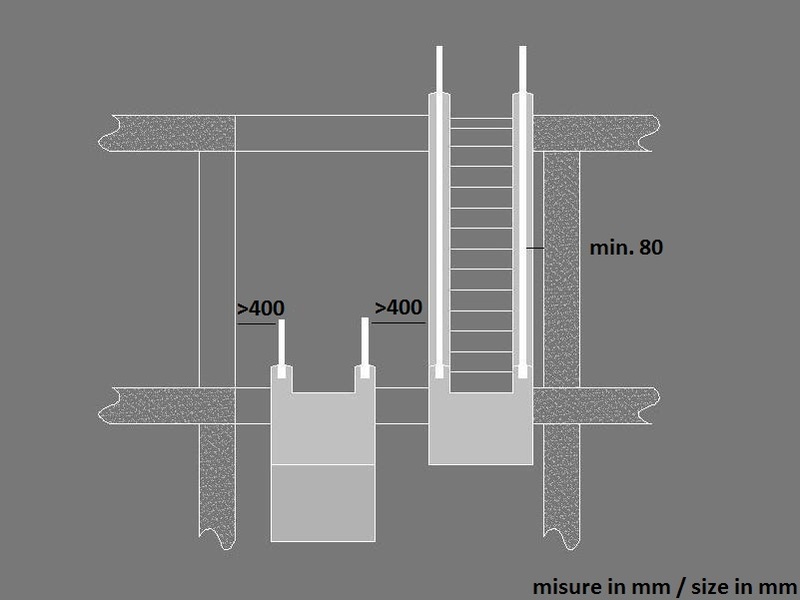 2 flat steps (800mm) are obligatory for differences in level of up to 6m. The length of this area must be equal to the space between the banisters, and extend in length for 2,500mm from the end of the banister. 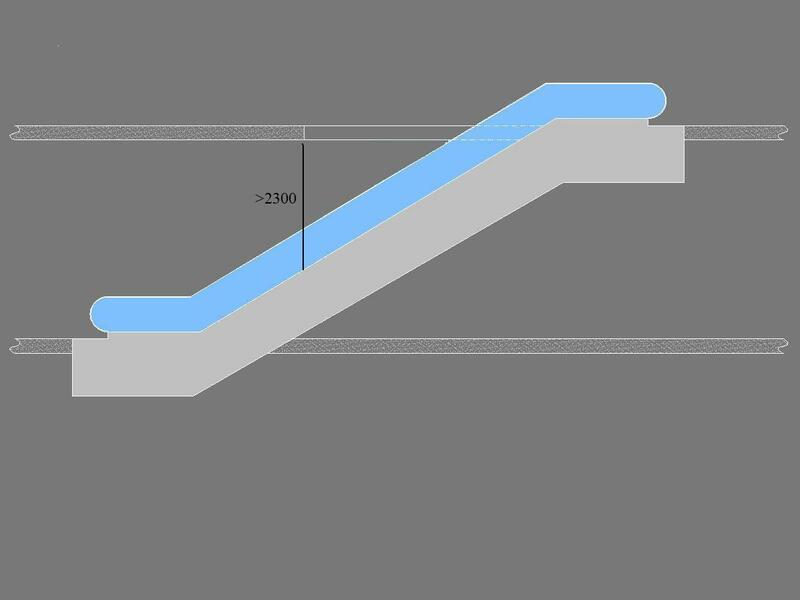 Alternative: Length of double the space between the banisters and length of 2,000mm from the end of the banister. For moving walkways, a larger area of disembarkation is advisable if baggage or shopping trolleys are also to be transported. 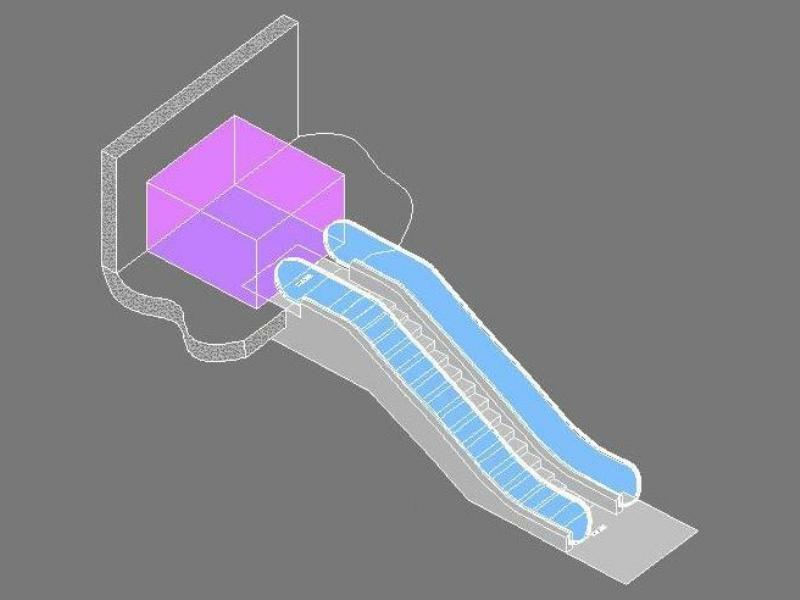 The lateral safe distance between the external edge of the banister and the continuous lateral wall must be at least 80mm and extend in height to at least 2,100mm. If the minimum distance of 400mm stipulated by the regulation in the case of obstacles along the course of the installation (such as the intersection with the ceiling or with other laterally positioned installations) is not respected, then suitable measures for impeding entrapment (e.g. triangles or cylinders of a minimum height of 200mm) must be taken. An additional balustrade or a grille of a minimum height of 900mm must be provided if there is a possibility of climbing on the sides of the balustrades. In the case of a parallel installation, if the space at the centre is more than 120mm, then an additional balustrade of a minimum height of 900mm must be provided to prevent climbing. 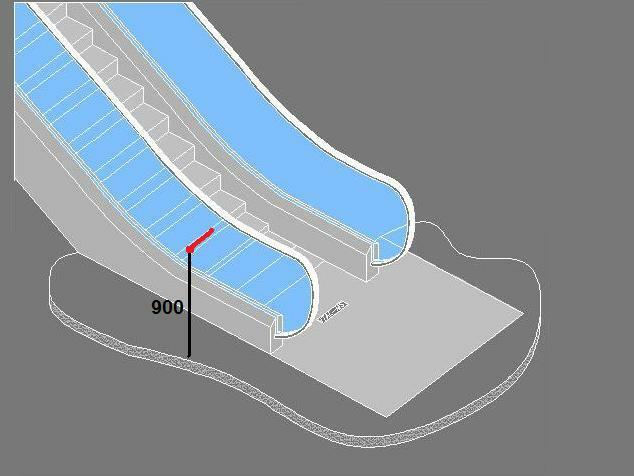 A free space of at least 2,300mm must be provided above the steps / segments for the whole course of the installation. A minimum illumination of 50 Lux on the steps must be present along the whole course of the installation. 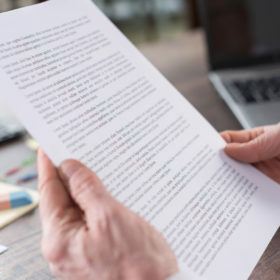 Do you want to more about the escalator regulation EN 115:2005? 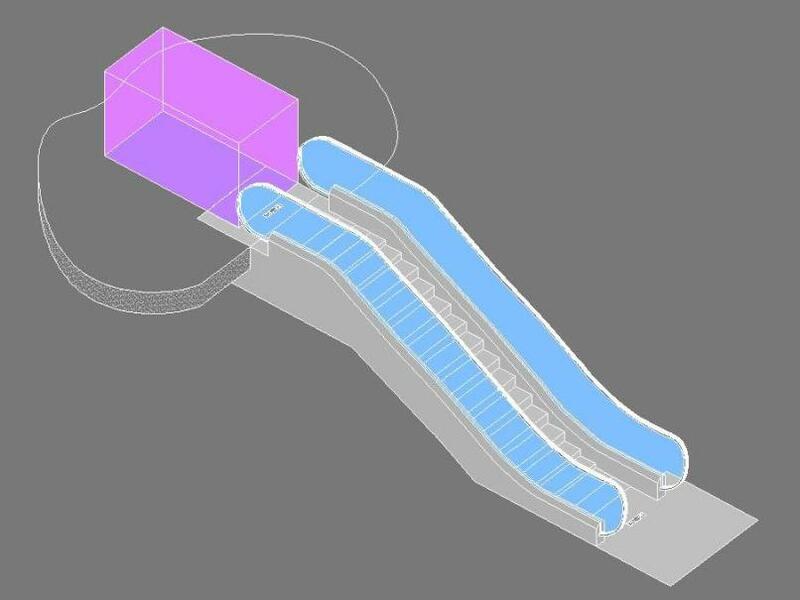 Contact us to find out everything about the regulation linked to the installation of escalators and travelators.